Forum's descriptions in nice tooltips. Avatar of last poster in last post area on index. Heavily modified board stats area. jQuery jump to top on each page. Heavily modified thread list area. Show total subscribed users of each particular forum/subforum. Show total subscribed users of each particular thread. Customized thread pages, postbits and quickreply. A new look for user's profile. 1. 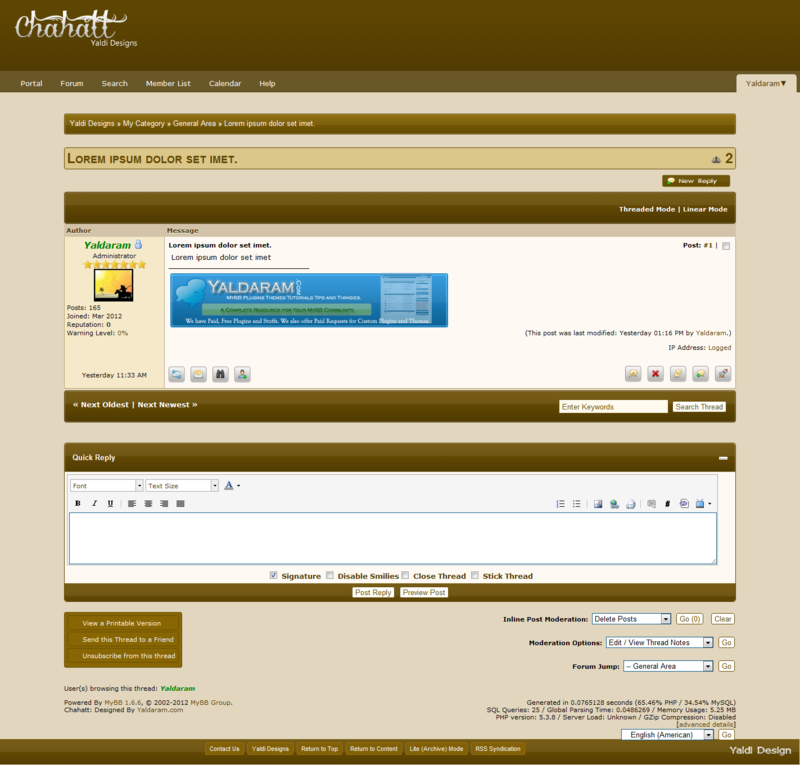 Show total subscribed users of each particular forum/subforum on forumdisplay pages. 2. Show total subscribed users of each particular thread on thread pages. 3. Posting in Wall on user's profile. 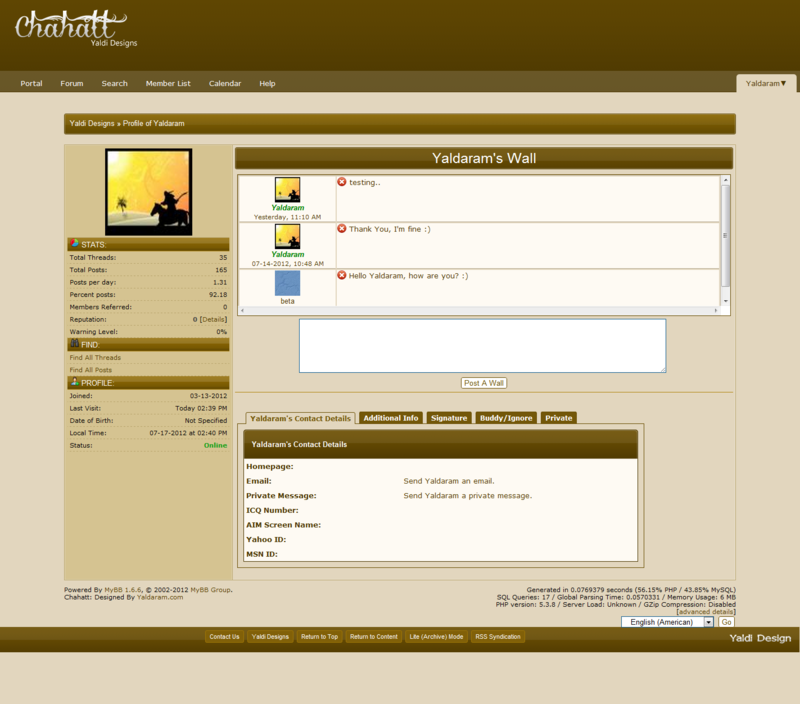 This features allows selective usergroups to post any thing they want on other/own profile. 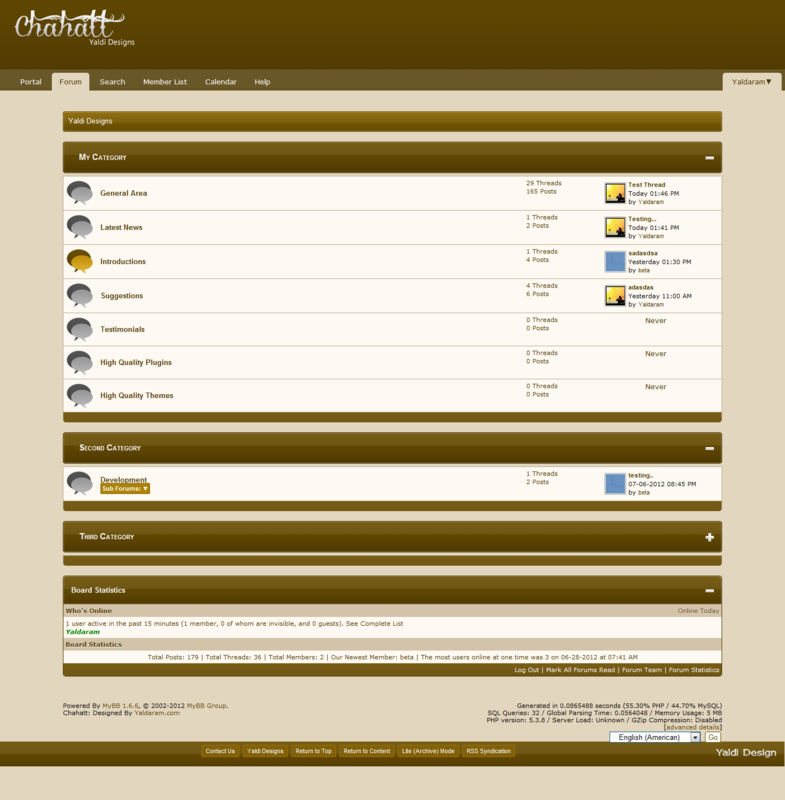 ./images/chahatt/ <-- all images of theme are inside this folder. ./XML/ <-- The .xml file needed to be "Import"
./PSDs/ <-- 3 PSD files (Logo, Large Buttons, Small buttons). - Upload the .xml file (present inside the .zip folder) through "Import From" option. - And in "Advanced Options" tick the "Ignore Version Compatibility" checkbox. Click on "Import Theme" button. You can get support for this product up to 3 consecutive months from the date of purchase. No further support will be given after 3 consecutive months. 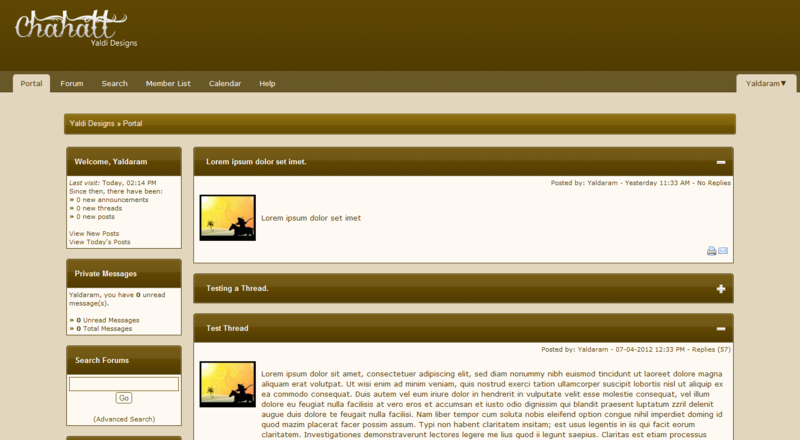 Buy this theme just for 15$ USD. Live demo? Video demos are horrible and sometimes give a bad representation of the theme. I agree, I might create a demo site.